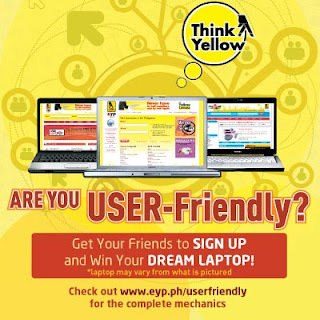 Nine dream laptops are up for grabs for the people with the most sign ups in www.eyp.ph/userfriendly by July 20, 2009. All you need to do to get a free laptop is to sign up and get your friends to sign up. Go and check it out!